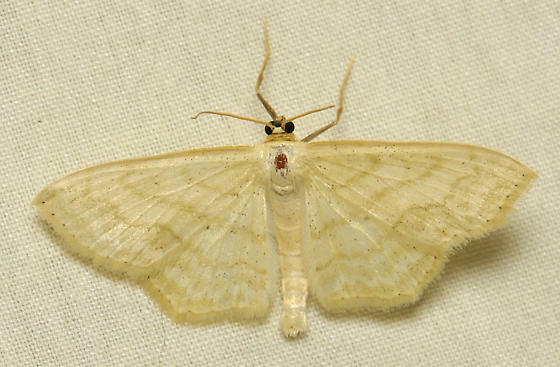 This was a yellowish moth that had many waves, with his PM line being the waviest. His costal margins were darker straw colored. He had yellow fringe and also some on the tip of his abdomen. He had many tiny black dots peppered all over. Please edit these images and fill in the sighting date, thanks!